Supermarket wars in Australia have been going on for a few years now. The way we buy groceries has changed so much over the years. 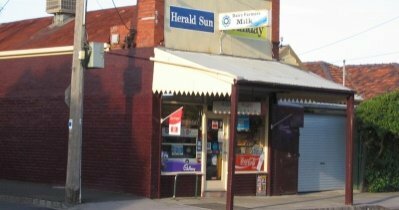 When I was a kid growing up in the bush (rural area) in Australia in the 50's and 60's, everybody had a corner store nearby. They were generally small mum and dad sorts of businesses that carried a little bit of everything, a reel of cotton, a loaf of bread, a ball of string, a pint of milk, a can of machine oil, a can of sliced pineapple or beetroot, the daily newspaper, cool drinks, ice creams, a screwdriver set, lollies, AA batteries, and the list goes on and on. There were no supermarket wars back then. I was reminded of the old corner shop recently when I read a wonderful column by Phillip Adams, journalist and commentator, in which he reminisced about, as a child, visiting his corner store in the early evening (most of them stayed open until 8pm) and watching the flickering black and white shadows on the curtain that divided the one roomed little store, and the lounge or living area of the owners and their children. 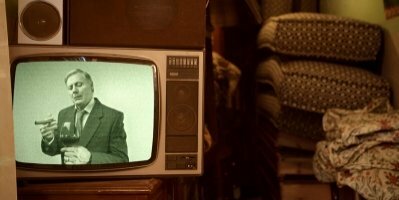 He could picture the scene in the back room, of the kids sitting, busily doing their homework and mum and dad watching the HMV TV until the bell on the shop door would sound, and one of the parents would come rushing through the curtain to serve you. Fabulous memories and it got me remembering our corner shop, run by Mr and Mrs Gillen, who reared seven children in their house directly behind the store, and I remembered too, the material curtain with the black and white TV shadows flickering on it, which separated the two areas. But the little corner shop is gone now. In Australia today most of them have closed, probably due to the rise of the supermarket giants. I'm not saying it's a good or bad thing but the sad reality is that those little corner shops that were such an everyday part of our lives have become a mere memory to be replaced by the two major grocery chains each firing at each other in the supermarket wars. It's fascinating that Australia has one of the most concentrated grocery sectors in the world with Woolworths and Coles dominating with 80% market share of an industry valued at AU$80+ billion. (In the UK, the two major chains Tesco and Sainsbury have 48% and the US equivalent is 20%). Mind you there is still healthy competition. 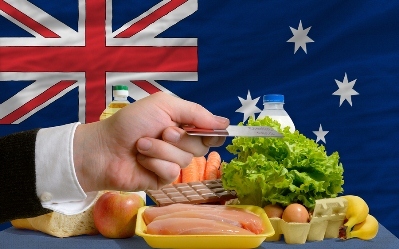 It was recently estimated that there are over 10,000 small and independent retail grocers across Australia and in 2001 German discount grocery chain Aldi entered the market, followed by US membership bulk grocery chain Costco in 2009. Their continued expansion is sure to play a major role in the future of supermarket retailing and, no doubt, heat up the supermarket wars over the next five years. With a population of just under 23 million, Australia is significantly smaller in size than the USA and UK, yet has more supermarkets per capita than the US and nearly three times as many as the UK. 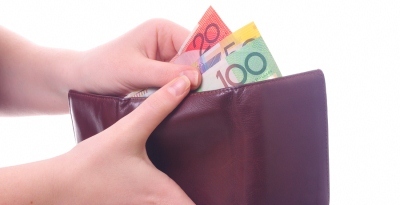 For most Australians the real concern is the cost of food. On the surface the cost cutting of the supermarket wars between the big two chains has meant big savings on the price of bread, milk and other staples which is great, but there is another side to the story. 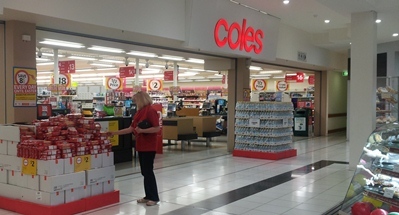 Because of their market dominance Coles and Woollies have forced the food producers to reduce their prices and profits. Many farmers now rely on the supermarket giants to sell their goods. They can either accept the low prices offered by the duopoly or they have to go out of business. Many people believe the dominance of the big two needs to be investigated but neither supermarket operator has taken this criticism lying down. 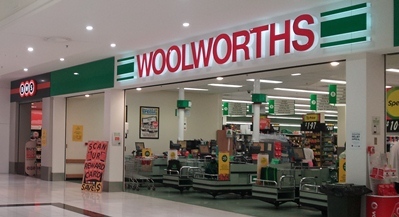 Both Woolworths and Coles have relied on one unassailable fact. "As consumers are paying less for their groceries now than they were a year ago, you would be hard-pressed to demonstrate that consumers are losing out." A spokesman said recently. The other plus for consumers is the freshness and quality of the food. In their continuing battle for dominance of the market place the big two chains have used freshness and quality as the measure of their products and are continually introducing systems to bring fruit and vegetables especially, to customers in as short a time as possible. As for quality, there can be little doubt that Australians enjoy the finest and best quality food available anywhere in the world. So while I enjoy reminiscing about the good old days and the little corner shops and lament their passing, I must admit that there are many advantages (and a few disadvantages) to the ongoing supermarket wars in Australia.